Can you imagine a place where kids are inspiring kids? Where kids are so enthusiastic about learning together that they hate snow days and ask to come to school on weekends? At the Birch School we are bringing learning into the future. Today most learning environments are defined by adults, but we are creating a school centered on students, where health of body and mind are important. The Birch School is a place for students where relationships matter, where kids can collaborate from the safe place of a community of belonging. 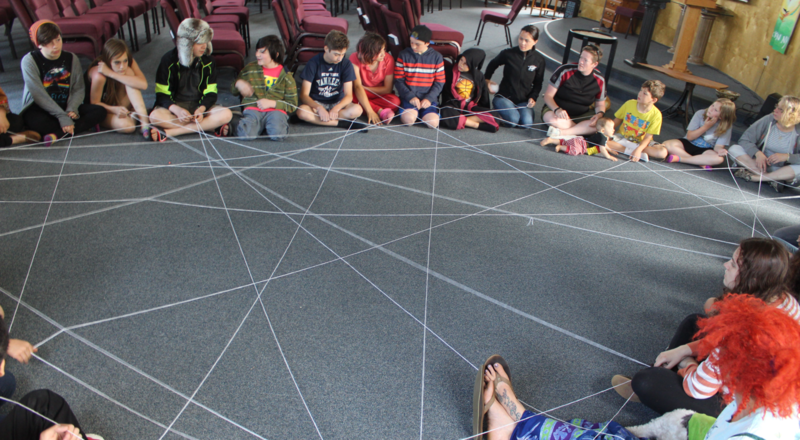 Our daily inclusive community circle promotes a sense of belonging and common group goals. Students take the lead in defining and outlining their learning plans, with teacher and mentor support. This democratic process provides opportunities to make choices, and opportunities to create. By creating small groups of students working together over time we empower students to take on new challenges. We have created “Maker Rings”, groups of 4-5 students who meet together over the school year to engage in authentic community. In this group they are able to establish a basic level of trust and develop strong communication skills. With this group as their base they are encouraged to expand their thinking, and develop trust and integrity. With the support and encouragement of their peers they are motivated to do their best work. There is no average student. Kids are complex beings with unique learning styles and needs. Our program helps students discover their interests and passions. Students are honored and respected as individuals and as integral parts of the larger school community. In Maker Rings students can be competent, can collaborate and can learn to become producers. Our school provides resources for students to become producers/self-directed learners. They are learning to become Makers. For us, the idea of teaching kids to “Make” is congruent with the rest of our approach to kids and teaching: Empower students, treat them as individuals, nurture their ideas and processes, encourage imagination, let them make mistakes and iterate, be aware of the wider community and our place in it, and to use the resources around you to improve the quality of life for yourself and others. Maker Rings are tinkering, exploring circuits, building cardboard instruments, learning to crochet, building robots, making movies, sewing clothes, coding video games and writing songs about the period table. After building a videogame with her Maker Ring one recent afternoon Joanna, a 6th grade student at Birch enthusiastically proclaimed, “I feel like I have a future here. We are experiencing the future right here and we get to help define it”. Wouldn’t you like to help create the future with us?